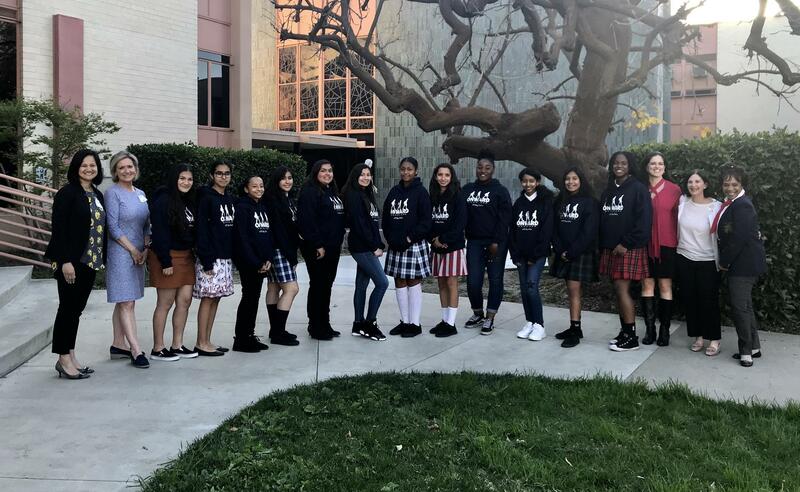 St. Mary's Academy is excited to announce that, through the generosity of The John H. and Cynthia Lee Smet Foundation, 12 Belles from the Class of 2022 make up the first cohort of Onward Scholars at SMA! The Smet Foundation provides a four-year scholarship for 75% of each Onward Scholar's tuition costs in addition to a personal stipend of $2,000 to use over her time at SMA. The stipend offsets the cost of activities in line with the mission of Onward Scholars such as summer pre-college programs or off-campus cultural experiences. Onward Scholars at St. Mary’s Academy receive not only the support services the school provides, but also work closely with the onsite Onward Scholars Program Director to receive mentoring and access to programs that prepare students for the college application and matriculation process. Monthly OSP-sponsored workshops focus on life skill development and topics of significance in the advancement of young women in today's world. 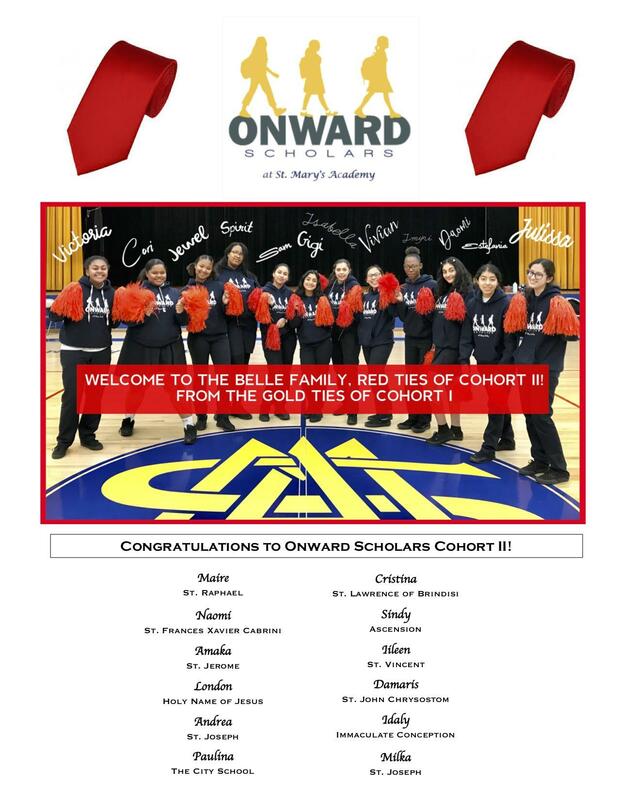 We look forward to the continued growth of Onward Scholars at SMA-Cohort II was selected in late February 2019 from the Red Tie Class of 2023 and the list will be posted here in early March! 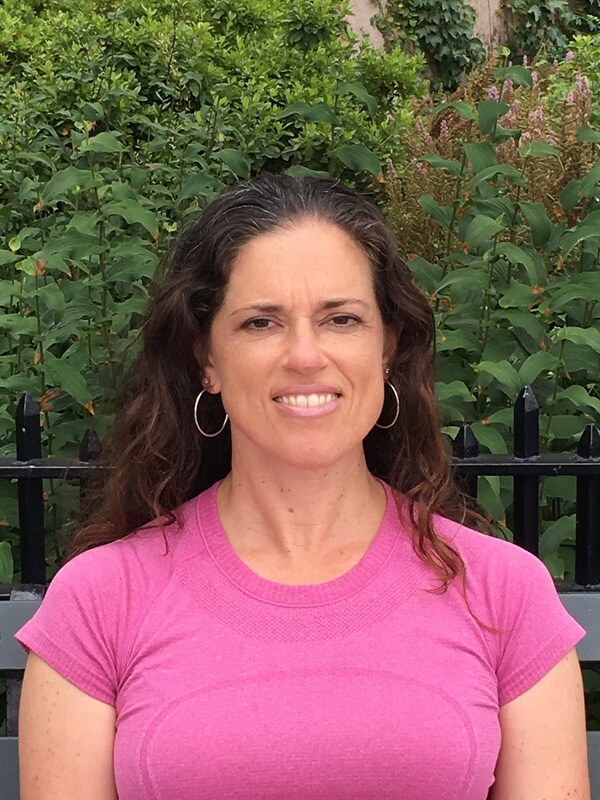 Michele Rice is proud to serve as the Program Director for Onward Scholars (OSP). Scholars will meet with Mrs. Rice on a regular basis to receive support pursuing academic and personal goals through mentoring, access to college workshops, life skills education, and community service opportunities. Mrs. Rice holds both a Tier I Administrative Services Credential and Bachelor of Arts in Psychology from Loyola Marymount University in addition to a Master of Science in School Counseling and a Pupil Personnel Services Credential from CSU Northridge. Prior to joining the St. Mary’s community, Mrs. Rice was blessed to gain over 20 years of invaluable experience in Catholic high school administration, teaching, student services, and admissions. She is passionate about building leadership capacity in students and looks forward to partnering with the SMA staff to help our young women reach their potential.